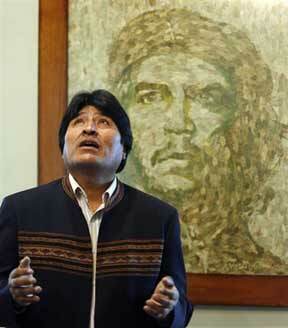 See the gallery for quotes by Evo Morales. You can to use those 8 images of quotes as a desktop wallpapers. I have a lot of trouble understanding all the detail of finance and administration - but if you combine intellectual and professional capacity with a social conscience, you can change things: countries, structures, economic models, colonial states. I never wore a tie voluntarily, even though I was forced to wear one for photos when I was young and for official events at school. I used to wrap my tie in a newspaper, and whenever the teacher checked I would quickly put it on again. I'm not used to it. 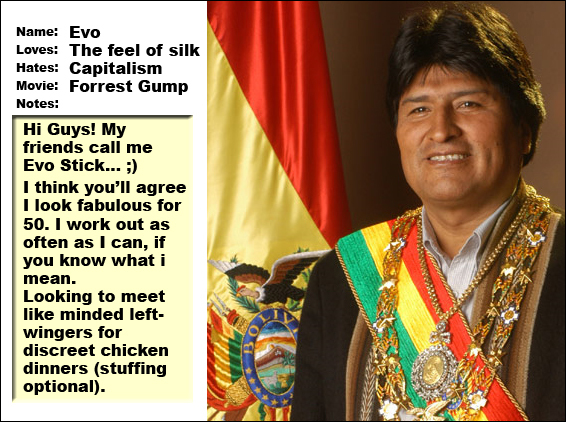 Most Bolivians don't wear ties. Imagine what our planet would look like with an increase in temperature of two degrees or four degrees, given that at 0.8 degrees we already have serious problems in the world. 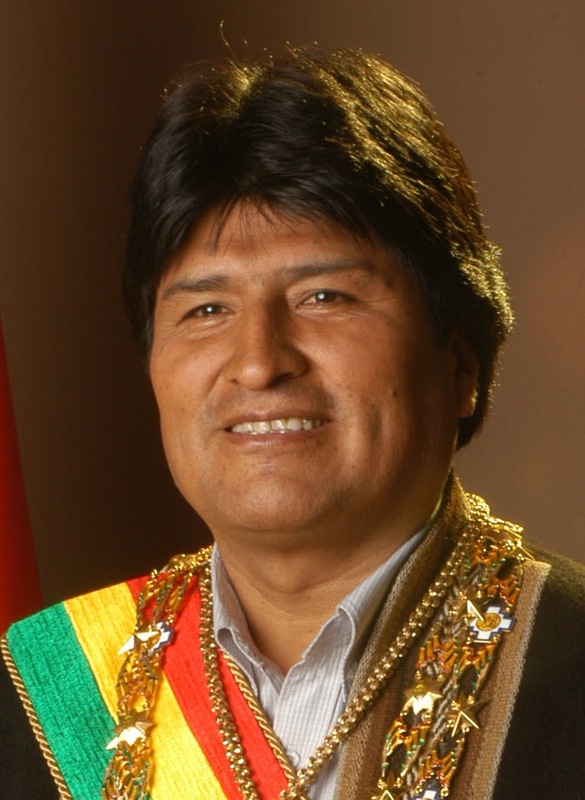 The Bolivian government has promised to guarantee autonomy in the framework of unity, legality, and with the goal of equalizing the different regions of Bolivia. It's right there in the constitution. The peoples of the Andes believe in the concept of 'living well' instead of wanting to 'live better' by consuming more, regardless of the cost to our neighbors and our environment. The relationship between the government of the United States and social and indigenous movements has always been difficult. 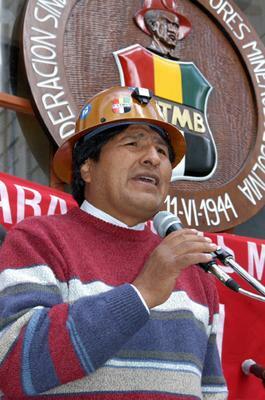 Not just in Bolivia but worldwide. We need to have bilateral relations characterized by mutual respect. We Indians are Latin America's moral reserve. We act according to a universal law that consists of three basic principles: do not steal, do not lie and do not be idle. 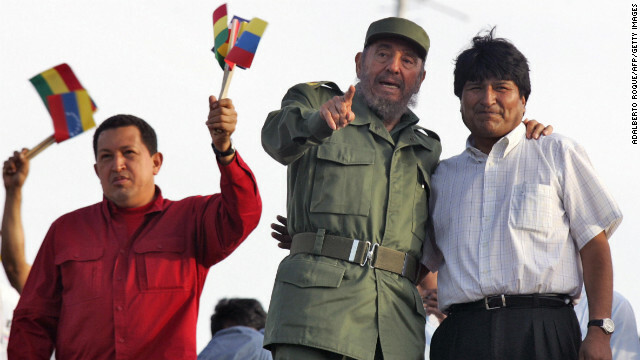 Capitalism has only hurt Latin America. Capitalism is the worst friend of humanity. 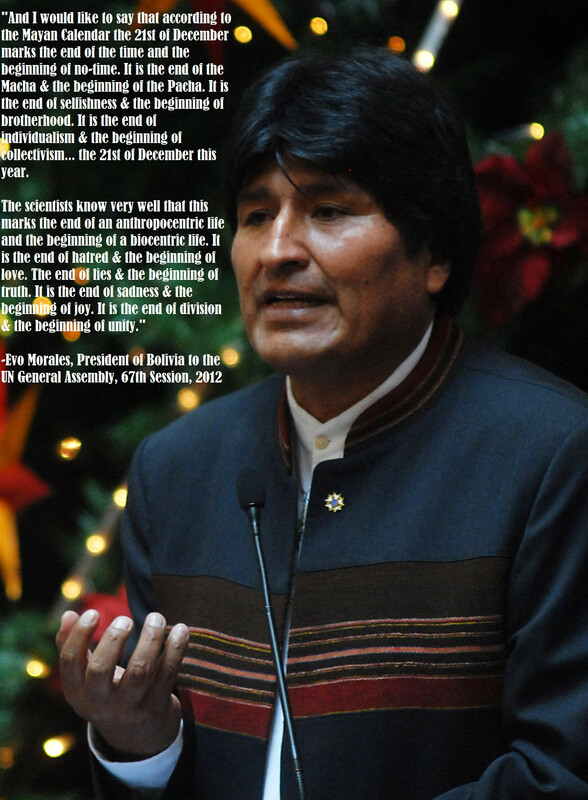 Much more quotes by Evo Morales below the page. I don't mind being a permanent nightmare for the United States. I have a lot of hope for the Constituent Assembly. 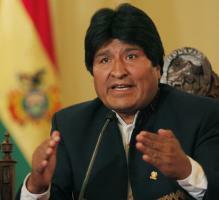 I want to stress that at no time Bolivia acts untimely or irresponsibly. All of Africa's resources should be declared resources of the state and managed by the nation. Our experience in Bolivia shows that when you take control of natural resources for the people of the town and village, major world change is possible. 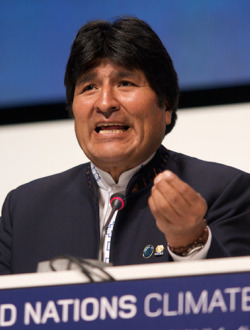 Bolivia's majority Indian population was always excluded, politically oppressed and culturally alienated. Our national wealth, our raw materials, was plundered. Indios were once treated like animals here. In the 1930s and 40s, they were sprayed with DDT to kill the vermin on their skin and in their hair whenever they came into the city.